With stunning t-bone steaks to follow. Love me a good piece of Sardinian meat. Thank you for your advice and pointing out my error in calling this beautiful slab of meat a t-bone. I should have known better, having worked in a high-end steak house for 4 years. 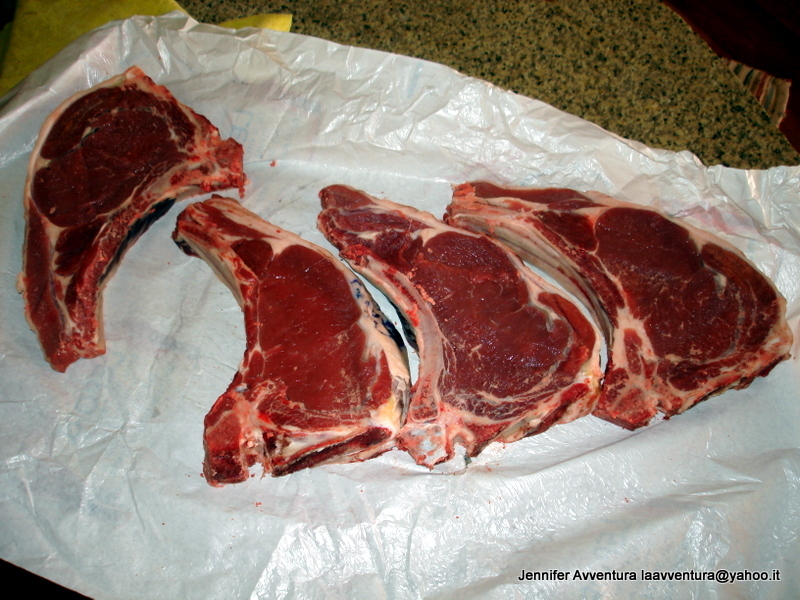 But I let the excitement of this meat get the best of me when writing this post. I didn’t order these from the macelleria, friends did, so I didn’t really pay attention to what I was eating, was too excited to have a piece of meat like this between my teeth. You’re living the life, girl!